The season is almost a month old and I've posted exactly once. I've been busy... went to Fenway for Opening Day, started umpiring some local baseball games, watched 8 Canadian Baseball College Conference games in BC, and spent the rest of my free time getting this site ready. I've amalgamated all my baseball writings here. If you followed me elsewhere, please update your bookmarks. 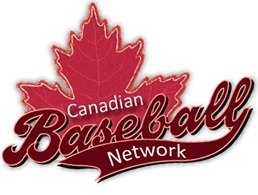 I will not be posting more updates on the Red Sox Nation Alberta or the Baseball in Alberta blogs. I am still maintaing the Scoring Rules site, but will cross-post any items of interest here. I hope to keep this updated more frequently going forward. I'm no longer going to be confined to just talk about local happenings or Red Sox news, but will include any baseball related items that are of interest to me. Thanks for reading! Remember to follow me on twitter for shorter updates.